I recently saw this post on Facebook – “Until God opens the next door, Praise Him in the hallway”. 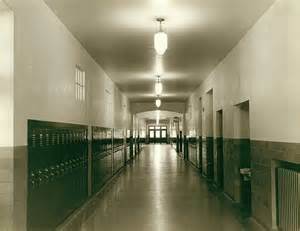 Being someone who is presently sitting in the hallway wondering where I’m supposed to serve next, I thought WOW! I know He has a plan and I know I’m supposed to be doing something – I just don’t know what, and so I sit and I sit and I sit. Today my daughter and I were discussing this very dilemma. In true form, she asked “Where do you feel pulled?” (She uses feel alot – psych major). I told her I knew where my heart lay but wanted to be sure it was God and not me. In the midst of this conversation, out of the blue, I received a text from an incredibly fun and fabulous friend. I relayed this amazing turn of events to my daughter forwarding the text to her along with 8 others per the instructions. Her first response was that she had received the same thing from her mother-in-law. (So grateful she has a mother in law that sends her things like this, but I digress. That’s a whole other blog). Secondly, she said “Everything’s telling you to wait! How awesome is a God who knows your inner being so well, He knows what it will take to get through to you. A God of forever that uses modern social media to speak to our hearts. I am ever amazed (although I shouldn’t be) that he takes the time to personally answer my prayers so intimately and direct. So in the midst of my impatience I got my answer – be still. And so I will continue to sit in the hallway with my hands held high in praise waiting for His plan to unfold.